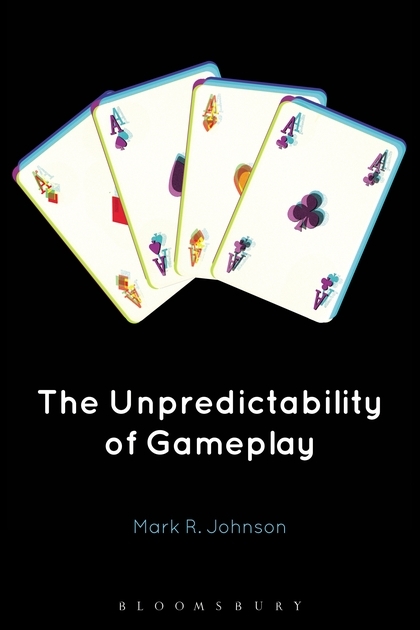 I am very proud to announce my first book, The Unpredictability of Gameplay, is now out and available from Bloomsbury Academic! 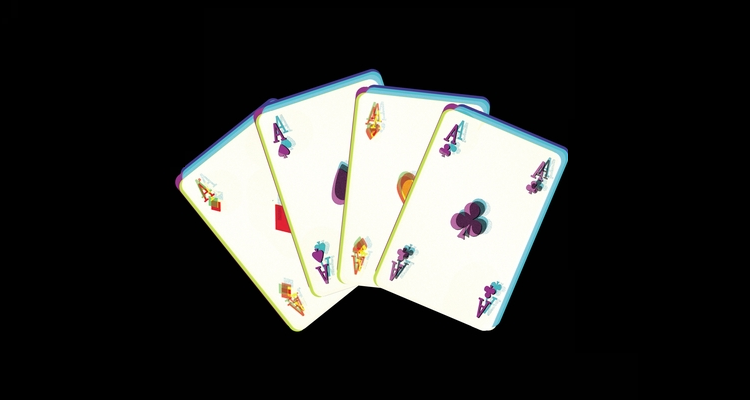 The main goal of the work is to unpack what I’ve taken to calling “unpredictability” in games – the ability to put in one input, and not know what output will occur – into a number of categories, and in doing so understand the different ways that unpredictability can be implemented, and shape gameplay. Although there have been a number of other works examining related concepts, I never felt any of these really went into enough detail about how unpredictability feels to a game player, and tended to lump all games which use dice, or a random number generator, into a single category. Given that unpredictability ranges from playing a slot machine, to an entire world generation in a Civilization game, and from the drop rates on an RPG to the decisions AI actors can make in many different games: surely there are a number of different categories here? The experience of unpredictability in each of those is different, and the goal of the work is to explore these. The first half of the work looks to develop a new way of thinking about unpredictability in games, by splitting unpredictability up into three main categories, and a fourth “side” category which applies to a smaller number of game experiences. The first of these I call “randomness”, which is unpredictability in the starting conditions of a game. These lay the foundations for the entire play of that game, and the second chapter focuses on examining the repercussions and impacts this has on play, and on a player’s experience of play. The second I call “chance”, which is unpredictability that occurs during the play of a game, such as an AI making an unpredictable move, or a drop rate, or the creation of a new dungeon level, or just something as simple as rolling a die to move in a game of Snakes & Ladders. The third chapter focuses on chance, the many different ways chance can be implemented into a game, and how chance affects our thinking about strategy, about fairness, and about the time and commitment games merit from us. The third I call “luck”, and where randomness is unpredictability at the start of a game, and chance in the middle, we find luck at the end. Luck is the extent to which player action can influence the outcome of play: a game with a lot of luck is one players can only slightly influence, while a game with little luck is one players can strongly influence. The fourth chapter focuses on luck, the different cultural ways this element of unpredictability manifests, and how randomness and chance are often mistaken for luck. In the fifth chapter I then look at “instability”, where things meant to happen in games, meant to be predictable, cease to be such: glitches, bugs, exploits, and so on. By breaking unpredictability within a game’s systems into these four categories, the goal of the first half of the work is to give us new terms to describe the wide range of experiences unpredictability can generate, and how it intersects with game design, play, culture, competition and much else. The second half of the work then looks at three case studies where this typology could be usefully applied. Firstly – an area I’ve worked in a fair bit in the past seven years – I look at procedural content generation, which can be used to create, randomness, chance and luck, and if designed without appropriate forethought, also instability. Much of the chapter naturally explores roguelikes, and I develop ideas I call “depth”, “layering” and “scale” to think about PCG content in greater detail. The seventh chapter then deploys a second case study, via the concepts of “replay value” and “grinding”, neither of which have found much analysis in game studies or game design to date. I look at why people replay unpredictable games, why people grind to reach unpredictable outcomes, and the concept of “completionism” as an interesting gameplay model to consider in the context of unpredictable play. The eighth chapter examines various things players do to negate unpredictability, such as duplicate deals in card games, the practice of save scumming, and the use of “seeds” in unpredictable games. I examine each of these, and look closely at what it might be that drives players to play unpredictable games, yet want to reduce the very unpredictability which makes those games what they are. Each of these chapters is designed to show how a more detailed look at unpredictability can shed new light on a tremendous range of gameplay practices, and inform how game design in unpredictable games should consider the different kinds of unpredictability it might deploy. Overall, with this work I wanted to produce something which sat somewhere between game studies and game design. I am focused in the work on game design, specifically of course regarding games which contain unpredictability, but I wanted to tackle these questions from a game studies perspective. What are the different experience of different sorts of unpredictability? How do these affect the cultures and communities that arise around games, and the particular sorts of practices that players engage in when playing them? I wanted this to be a book that game designers and games researchers would both get something from, and something that fans of unpredictable games – such as, for example, roguelikes – would also be interested to read. Looking over the final product now, I’m extremely happy with how it came together – it’s an unusual work, I think, but I’m confident the book offers an original analysis of the topic, and something which books in similar areas haven’t yet done. As such: if you’d like to read a sample chapter, you can do so right here! This link will take you to the first chapter of the work, where I outline some of the questions I want to tackle, the conceptual perspectives I use, and what the rest of the work looks like (in more detail than I do here). Hopefully this will give you a taste of the work, and the kind of detail I go into later in the book regarding the many forms and impacts of unpredictability. Finally, for those of you without access to academic libraries, a cheaper paperback version will be on its way soon! Thanks again to everyone who has supported my work in the last few years; this book definitely represents my last word (for the time being…) on unpredictability and similar concepts, and I very much hope the work will find some success in the area. Next time: game development update! Congratulations! What an interesting subject. I’ll definitely see if we can get this in our library. Will there be an ebook version available, too? Glad to hear about the paperback edition. As someone with basically no connections to academia, the initial price was a bit intimidating, as much as I’m interested in the subject. Hopefully, it’ll be a bit more affordable for those of us outside the ivory tower! Haha, I’m glad, and I totally know what you mean. I’ll certainly be posting here once the paperback goes live!